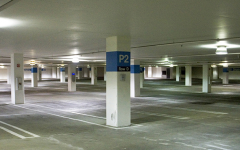 This underground public parking structure is located in downtown Redwood City, California and serves a new retail/cinema complex and other businesses. The project consists of 583 parking spaces in two basement levels, 85,000 SF of retail/restaurant space at street level, and a 4,200-seat Century Theater on the second level. 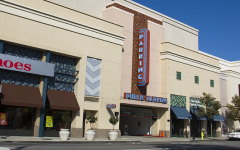 A portion of the below-grade parking structure extends approximately 45’ beyond the retail/cinema frontage under the newly created Theater Way, a pedestrian-oriented plaza/streetscape with outdoor dining opportunities and the main entry to the theater lobby. The majority of streetscape elements and roadway occur “on structure.” Theater Way will also be closed to vehicular traffic on weekends, where it is used as a public market.